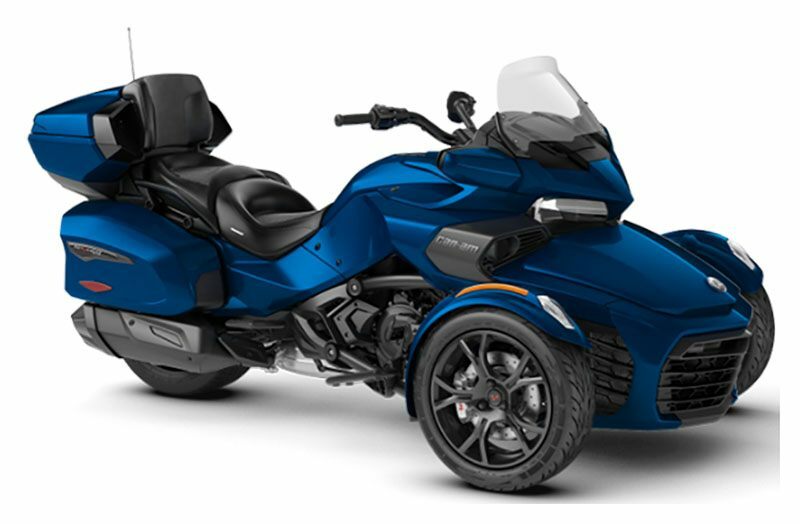 Answer the call of the open road with the Spyder F3 Limited. A new self-adjusting air suspension is ultra plush. Ride to your own soundtrack with the 6-speaker audio system and bring everything along with the standard luggage with new top case. CONNECT YOUR JOURNEY: Enhance your ride thanks to the large panoramic 7.8 in. wide LCD color display with BRP Connect allowing the integration of vehicle-optimized smartphone apps. Get directions, check the weather, share experiences with your community and listen to your favorite music on the BRP Audio Premium 6-speaker sound system. All this technology is easy to access while maintaining your hands on the handlebar with the new intuitive joystick. SHOW YOUR TRUE COLORS: Whether you are looking for a classic or modern look, you can now choose the edition that fits your style: dark or chrome. BRING IT ALL: You can take it all with 36.5 gallons (138 L) of total vehicle cargo space. There is the trademark lockable and watertight front compartment, glove box, two stylish side cases and a removable top case that can fit two XL helmets. YOU DESERVE THE BEST: You and your passenger are spoiled with the plush self-levelling rear air suspension that ensures optimal comfort. 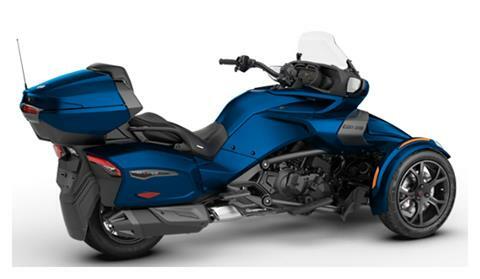 Plus, you'll appreciate the footboards, heated grips and integrated passenger backrest. A PERFECT FIT: The exclusive Spyder F3 UFit system lets you easily position the footpegs according to your height and choose the handlebar based on your preferred riding style. It ensures a truly customized riding experience. *Custom handlebar sold as an accessory. Large panoramic 7.8 in. wide LCD color display with BRP Connect™ allowing the integration of vehicle-optimized smartphone apps such as media, navigation and many others controlled through the handlebars. 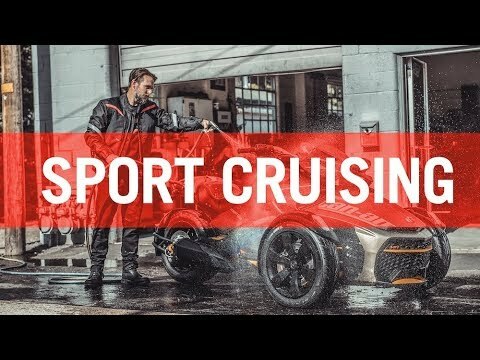 Extended - BRP’S B.E.S.T. extended service term available from 12 to 36 months.